The author created a series of paintings prior to having decided to turn them into a children’s book; he reached out to me for consultation regarding his desire to modify his illustrations to be suitable for print. I was provided a Word document with the plain text beside each respective image they correlated with, which I used to layout the thumbnails which outlined what changes needed to be made to facilitate flow and cronological coherency. This allowed me to asertain which areas required additional space to allow for full-bleed printing, which I performed digitally while touching up various details. 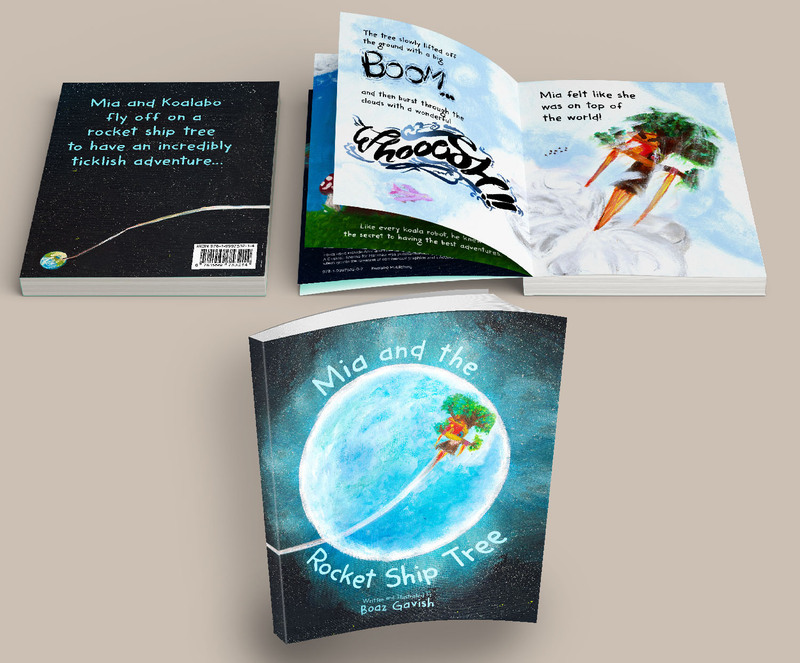 Upon making the edits to the illustrations I performed all of the lettering and onomatopoeia, secured the ISBN registration and barcode for both the softcover and hardcover editions, prepped the files for print, then proceeded to register it with Amazon’s Createspace printing service so the client could request a Proof copy for inspection before going live. I kept the client apprised every step of the way with previews, and, throughout 9 sessions of changes, I iterated and implemented any feedback he had until the book became polished and a pleasure to read. printed paperback and hardcover, 8 inches x 10 inches, 42 pages.